For the Mirror Universe ships of Discovery, the same caveats apply as to the Starfleet ships and the Klingon ships of the series. Any attempt to reconcile them with the Mirror Universe ships from classic Star Trek is futile. 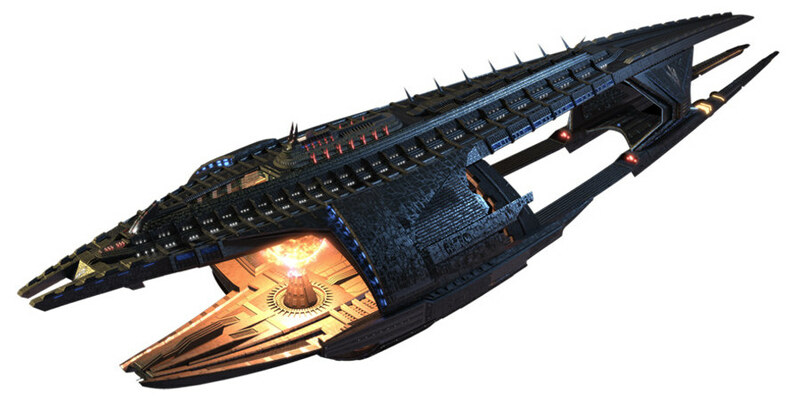 The Cardenas class is a comparably large ship type that is in service in the mid-23rd century. The design features a saucer with a small boxy engineering hull at its aft end and four angular nacelles on pylons that are arranged as an "X". We can see the Mirror Universe ISS Buran NCC-1422 in DIS: "What's Past Is Prologue". 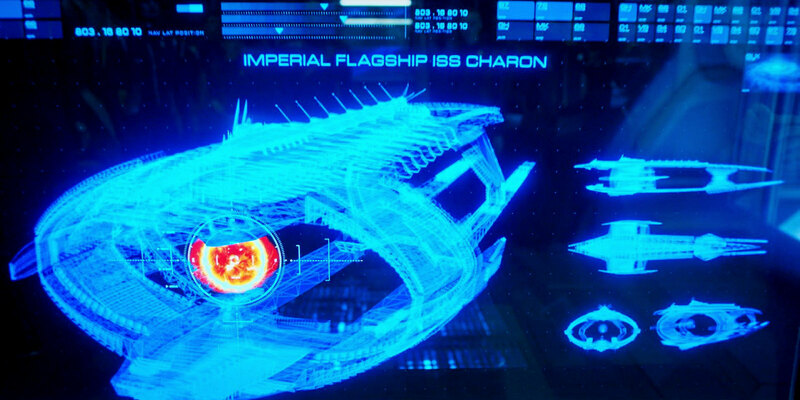 The ISS Charon is the flagship of the Terran fleet and also houses the palace of the emperor in the 2250s. 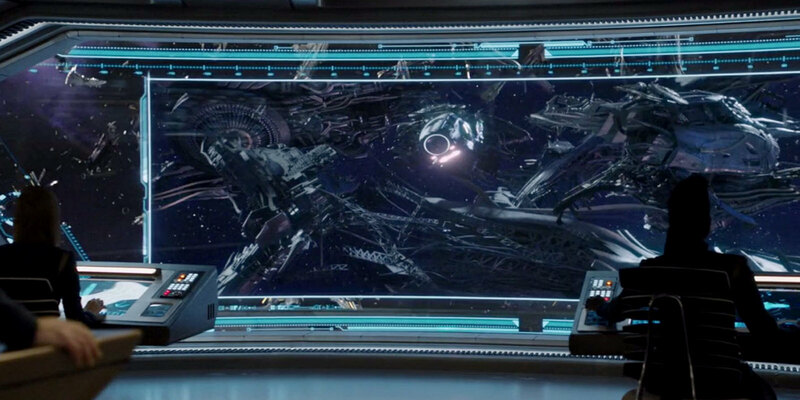 The massive ship is powered by a super-mycelial reactor, which can be seen in the form of a glowing "ball" in the center of the ship. The ISS Charon appears in DIS: "Vaulting Ambition" and "What's Past Is Prologue". The Charon doesn't exist in the Prime Universe and is most likely a sui generis design in the Mirror Universe. The scaling relative to the Discovery (that flies straight through the reactor) indicates that the Charon is well over 4 kilometers long. The Constitution class was introduced around 2240. The design consists of a round saucer, thin neck, tubular engineering hull, tapered pylons and tubular nacelles. In the Mirror Universe, one ship of the class appeared before its time and was kept in service after many modifications. We can see the wireframe drawing of the ISS Defiant on a display in DIS: "Despite Yourself". 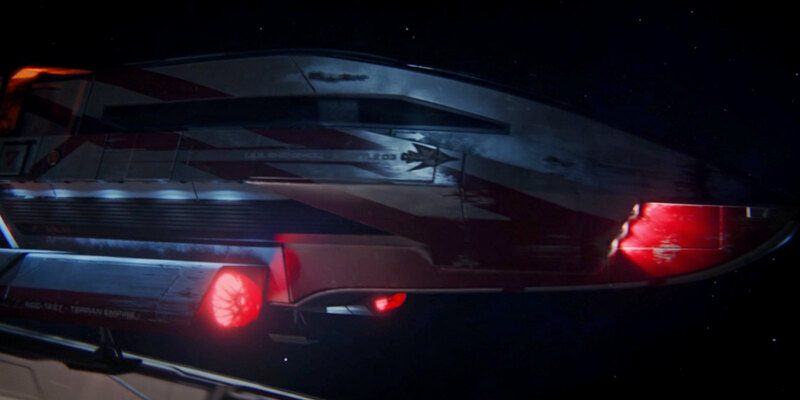 Curiously, it is still labeled as "USS Defiant", although the depiction shows the ship after many years with many modifications in Terran service. 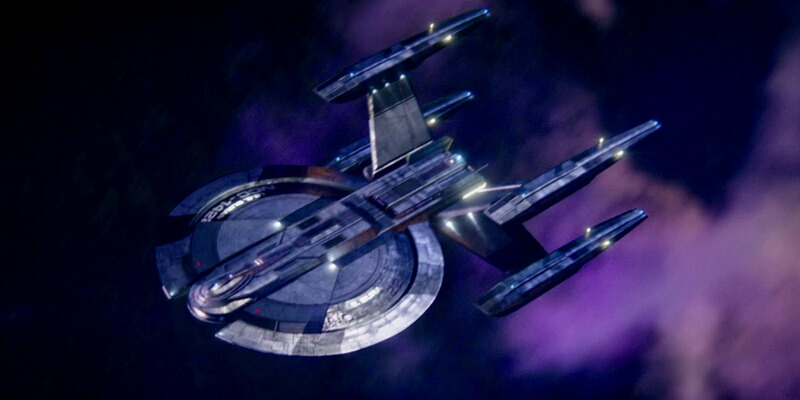 The Defiant is meant to be the very same ship that vanished in TOS: "The Tholian Web" and resurfaced in the Mirror Universe more than 100 years earlier, in ENT: "In a Mirror, Darkly". 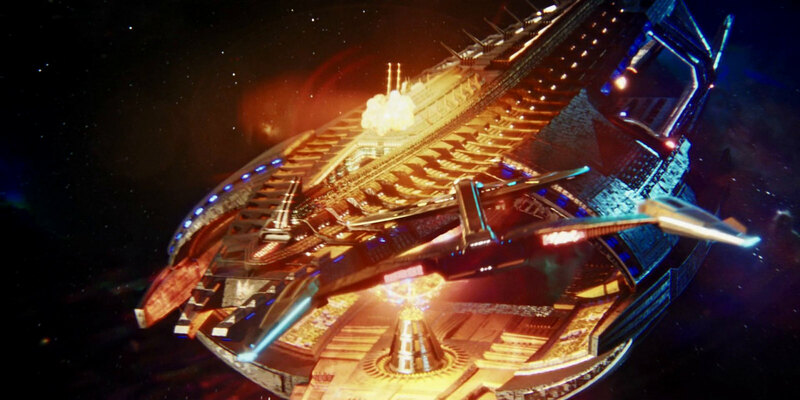 The depiction in the episode is rather coarse, but it includes two changes to the design that point to a redesign of the ship, rather than to a reimagination. The nacelle pylons are not straight any more but have a kink with an embedded pod, much like the phaser pods on the Miranda class. There are also four cut-outs in the saucer edge. 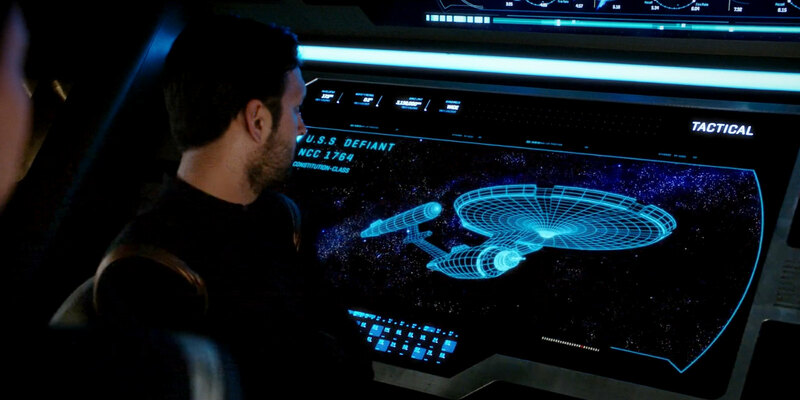 Overall, the wireframe with its short neck and rounded engineering hull matches a bit better with the proportions of the reimagined DIS-style Constitution than with the look of the ship in classic Star Trek. It appears that the ship was not clearly shown for a reason, either to save the surprise about the redesign of the original Constitution for a later occasion, or because it was not yet finally decided to what extent the ship would be altered. The anachronistic technology of the USS Defiant supposedly allowed Captain Archer and later Empress Sato to defeat the alien rebellion. 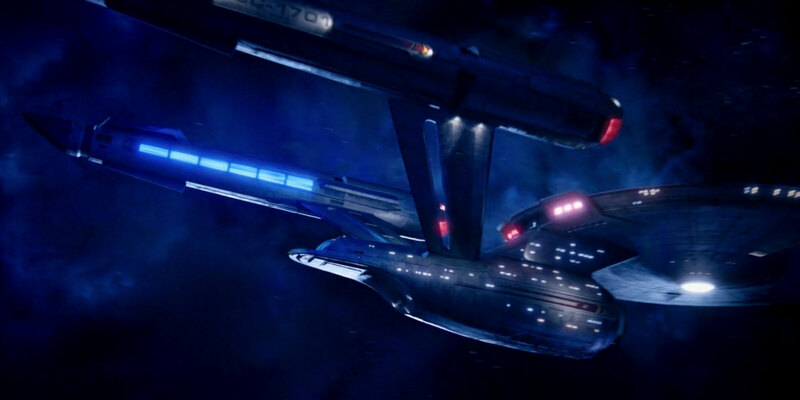 Despite this technology leap, the Mirror Universe itself developed standard Constitution-class ships as late as at the same time as in the Prime Universe, as evidenced by TOS: "Mirror, Mirror". 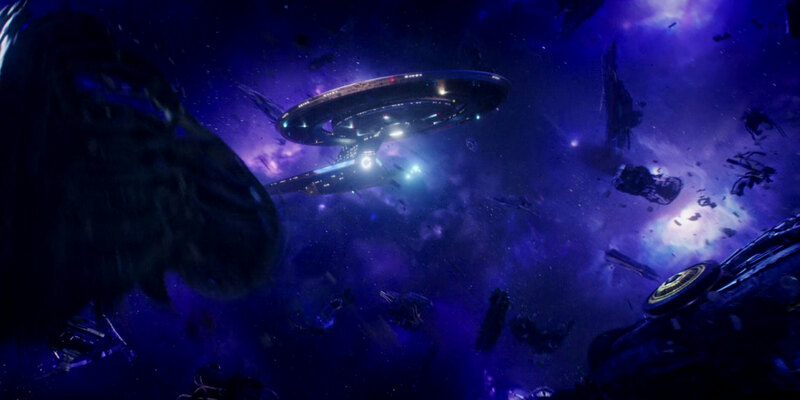 Since DIS rewrites "only" the visuals and not the "facts" of the old Star Trek, it is safe to say that the standard Constitution class also exists in the Mirror Universe of the reboot series and looks much like the reimagined USS Enterprise as first seen in DIS: "Will You Take My Hand?". The Crossfield class is a large starship type of the Terran fleet of the mid-23rd century. The design consists of a saucer with three separate concentric rings, which is connected by a thin neck to an engineering hull with a triangular planform. The two nacelles of this ship type are extraordinarily long. The armament of the Crossfield class includes phasers and photon torpedoes. A spacious shuttlebay is located at the aft end of the engineering hull. 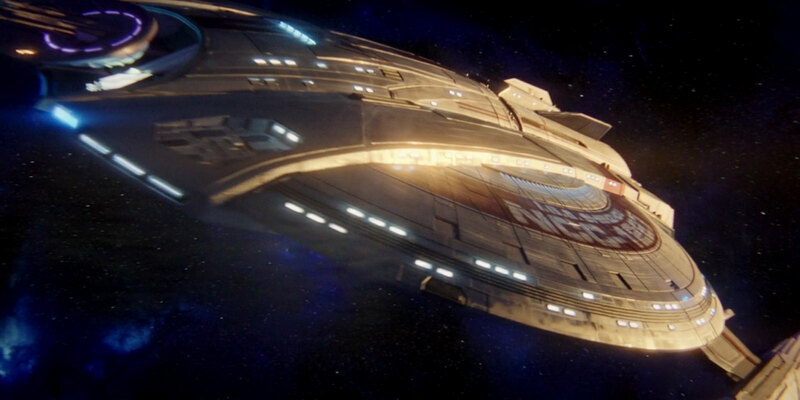 After crossing over to the Mirror Universe, the USS Discovery successfully masquerades as the ISS Discovery in DIS: "Despite Yourself". Therefore it is clear that the unseen Mirror Universe class looks the same except for the hull lettering. Conversely, the real ISS Discovery ends up in the Prime Universe, where it is destroyed by the Klingons. It seems that the ISS Discovery was not equipped with the spore drive, although the technology should basically be known in the Mirror Universe too because it is used in a different fashion on the ISS Charon and although in the Prime Universe the class was designed specifically for this experimental propulsion system. This type of a warp-capable shuttle is used on the USS Shenzhou and probably other starships of the mid-23rd century. It has two pilot seats, and a large crew or cargo compartment. Burnham and Lorca use the Shenzhou Shuttle 03 to transfer to the ISS Charon in DIS: "Vaulting Ambition". The Walker class is in service in the mid-23rd century. It is a mid-sized ship type. The design consists of a saucer and a pylon assembly leading down to two angular but tapered nacelles below the saucer hull. The bridge is located on the underside of the saucer. 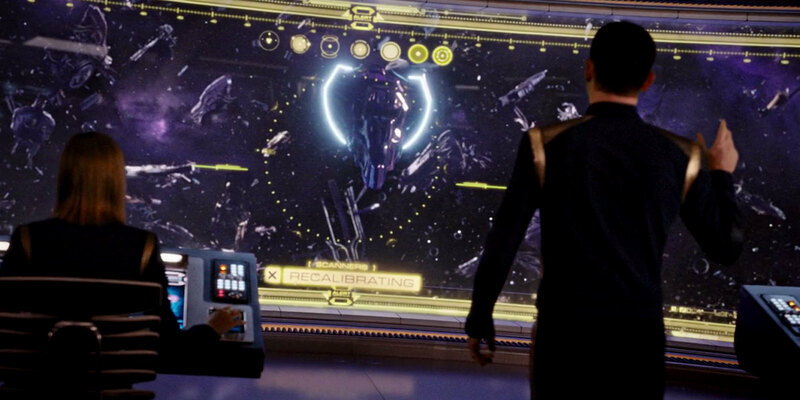 The Mirror Shenzhou appears in DIS: "Despite Yourself", "The Wolf Inside" and "Vaulting Ambition". ISS Cooper, mentioned in DIS: "Despite Yourself"
The crew of the Discovery encounters the ISS Cooper and mistakes it for the USS Cooper, a ship that should currently be out of service for a refit. This is a small warp-capable ship of Vulcan origin in the mid-23rd century. Its warp engine is ring-shaped, as it is typical of several Vulcan designs. 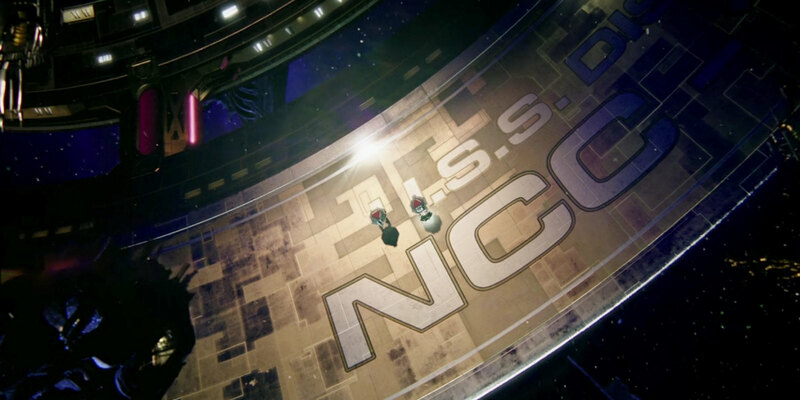 The Vulcan cruiser attacks the USS Discovery at the beginning of DIS: "Despite Yourself". It is the same design as the small Vulcan ship in DIS: "Lethe", here explicitly called "cruiser".